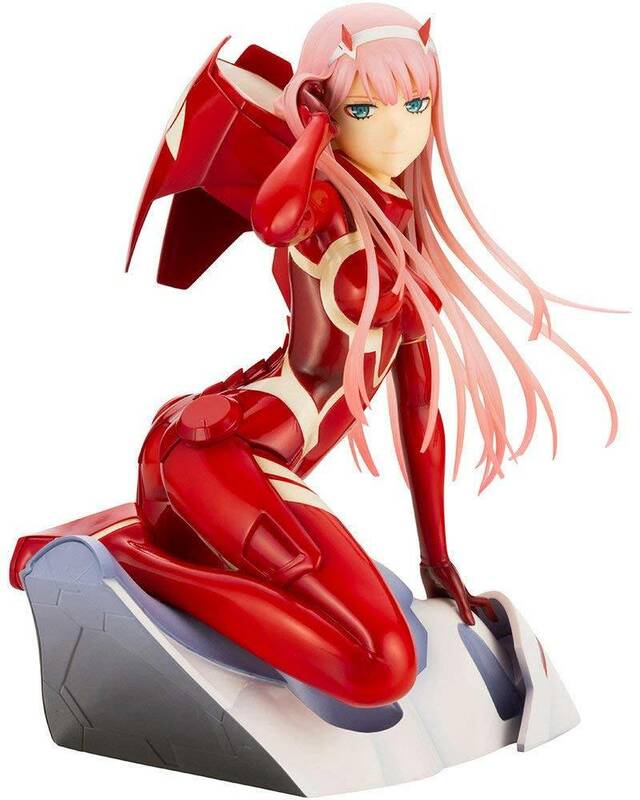 From the hit anime Darling in the FRANXX, Kotobukiya presents ZERO TWO in her pilot suit. 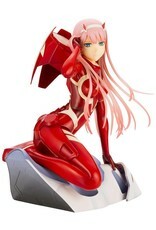 Zero Two’s posing depicts her looking back as she boards Strelizia and prepares to connect.The compact posing shows off the pilot's curves, while her flowing hair provides a sense of movement that gives the statue a sense of balance with the simplistic pose. The mechanical parts of Zero Two’s pilot suit and the wrinkles in the fabric are faithfully recreated in stunning detail, and the tips of her iconic light pink hair are created with clear plastic,allowing the light to pass through them beautifully. Zero Two's perfectly balanced pose and the detail in her brave expression make this rendition of this iconic character one you won't want to miss!